Why Barclays and Co “can’t get no satisfaction” from food speculation. For real contentment, basic needs need to be met. 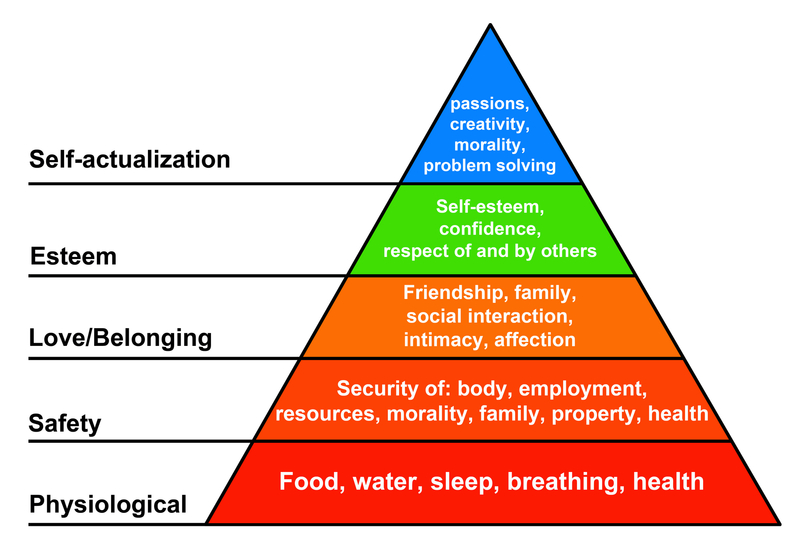 The obvious basic needs are food, water, shelter, warmth, and social contact with other human beings. There should be enough of all of this for every one of the seven billion people on this planet. There are some who have this plentifully, yet who still are discontented. Indeed, such discontent exists within their psyche that they gamble, and gamble with other people’s lives. While some gamble with water, energy and house prices there are those who gamble with food. This recipe is increasingly common for consumers in global food markets. Although unpalatable, it is gaining popularity with investment bankers and hedge fund managers. 1. Take a bunch of financial regulations, cut off the good parts and water them down. 2. 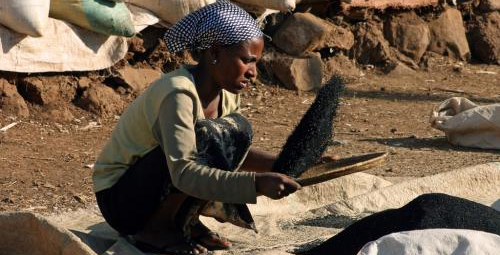 Measure out several thousand tonnes of grain and other staple foods and add them to global markets. 3. Quickly pour in huge amounts of hot speculative capital from investment banks and hedge funds. 4. Watch as basic food prices rise. 5. Serve with fat profits and a large portion of widespread hunger, poverty and malnutrition for the world’s poorest people. With plenty in their bellies, yet still dissatisfied from their lot, the rich speculate, ( gamble) regarding food and grain as commodities to be bought and sold, hopefully delivering them a nice fat profit. What they propose to do with profits when they already have enough is a revealing question. They embark on more and more speculation, so sinister like some global computer game to see who can harness the greatest score. They may use the word “investment”(ThinkLeft article) but gambling is a much better description of their activities. Such is the basis of capitalism. This is no computer game. The facts are that their activities have led directly to dramatic increases in global food prices depriving so many from their basic needs. So cruel when there is plenty, so sad when the prospectors already have enough. This is madness. The madness of capitalism which brings happiness to no one and ultimately global disaster to us all. Indeed, the world’s largest commodities trading company, Glencore is so delighted at the prospect of a food crisis Chris Mohoney boasts (11) about “ the current global food crisis and soaring world prices as a “good” business opportunity.” Such a slip of the tongue led to some German banks (4) to withdraw their association from these activities. Cameron’s recent hunger summit (15) coinciding with the Olympic Games amounted to no more than a pretence, political opportunism to give the impression that he is actively opposing such activities. 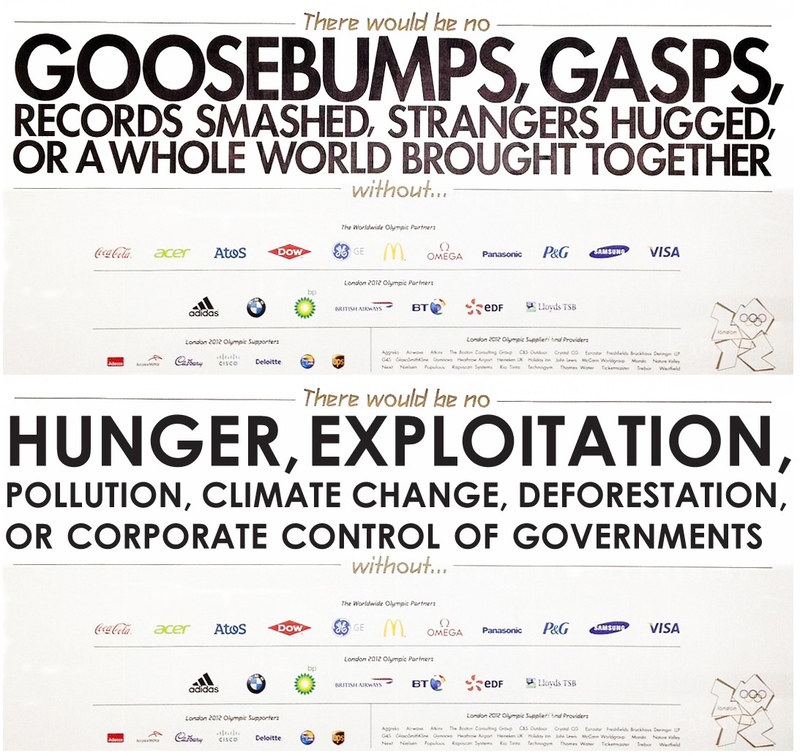 The same companies making a killing out of the Games make their profits at the expense of the cold and hungry. The World Development Movement report estimates that Barclays made as much as £529m from its “food speculative activities” in 2010 and 2011. Barclays made up to £340m from food speculation in 2010, as the prices of agricultural commodities such as corn, wheat and soya were rising. The following year, the bank made a smaller sum – of up to £189m – as prices fell, WDM said. The revenues that Barclays and other banks make from trading in everything from wheat and corn to coffee and cocoa, are expected to increase this year, with prices once again on the rise. Corn prices have risen by 45 per cent since the start of June, with wheat jumping by 30 per cent. Barclays makes most of its “food-speculation” revenues by setting up and managing commodity funds that invest money from pension funds, insurance companies and wealthy individuals in a variety of agricultural products in return for fees and commissions. The bank claims not to invest its own money in such commodities. Since deregulation allowed the creation of such funds in 2000, institutions such as Barclays have collectively channelled an astonishing $200bn (£126bn) of investment cash into agricultural commodities, according to the US Commodity Futures Trading Commission. Barclays’ dominance in commodities trading is thanks to its former chief executive Bob Diamond, who was Britain’s best-paid banking boss until he was forced to resign last month following a £290m fine for attempting to manipulate the Libor interest rate. As boss of Barclays Capital he boosted trading in agricultural products. This is something which is affecting us all. We may feel uncomfortable thinking of the hungry in Africa and India, only for the guilt to be dismissed as we rush round Tesco’s or Waitrose. The UK is not immune. The cost of living is rising, it’s going to start hurting the comfortable middle-classes who supported Clegg and Cameron. The number of people directly affected by bank speculators will be the majority. .. we ordinary mortals are facing the most sustained and savage attack on our standard of living for decades, with the poorest inevitably faring the worst. But it’s not just the poor. For the first time, even the once comfortable are experiencing the anxiety of how to pay the mortgage, fill the car, meet the supermarket bill. Last Wednesday, five million households learned that their fuel bills will increase up to £100 a year because SSE, the UK’s second-largest energy group, announced that its tariffs would rise in October. More will follow SSE. Ofgem, the regulator, reports that the profit margins of power companies are due to increase by almost 14%. On the same day, Santander, Britain’s second-biggest mortgage lender, announced a rise in its mortgage rate so repayments will jump by £300 a year on average from October, £700 on a £200,000 loan. Many borrowers can’t go elsewhere because they have little equity. Add to that stagnating wages; rail fare and council tax increases; private rents at a peak; the ever-climbing price of essentials such as food and clothing; and the cuts to benefits that include less help with childcare costs and the assault on our standard of living is unremitting. Since the speculation depends on being fed by the majority, surely it is unsustainable if the majority are to suffer? What will then be the consequence? Consider what drives a person to such greed, to accumulate meaningless wealth at the expense of his own species? It does not provide happiness or contentment. I believe it is because of deprivation of other needs; we also need friendship, respect, morality and self-esteem. Mankind evolved because of interdependence. (14) Global capitalism is relatively recent in our timescale. Many of us remember the words of Margaret Thatcher, “There is no such thing as society.” Those words may well have been a prophesy for our future. It is no exaggeration to state that unless change is made, mankind is doomed. We need each other. The European Commission and the French and US governments have all said they want to bring food speculation into the open and regulate it to stabilise prices. We need to you to help pressure the UK government to ensure that it backs proposals for regulation and not to take sides with the banks to block reform. Email George Osborne at the Treasury, asking him to support strong and effective regulation to stop banks from betting on hunger. The Treasury is the government department which decides whether the UK will support international regulation to rein in excessive speculation on food prices. There are several banks on the High Street. If a bank is speculating in commodities which is fuelling the rise in food prices, then banking elsewhere may force the banks to change their course of action. Whose money are they speculating with? Who makes the profits? Use your influence. Think Left: Is Cameron’s Hunger Summit just a Good Photo Opportunity? Think Left: Why Investment not Cuts is Key. 15. World Development Movement: Cameron’s Hunger Summit, Meddling or Medalling? As the industry prepares to fight off renewed calls for root-and-branch reform in response to the Barclays rate-fixing scandal, an investigation by the Bureau has revealed the firepower of the City’s lobbying machine, prompting concern that its scale and influence puts the interests of the wider economy in the shade. • The slashing of UK corporation tax and taxes on banks’ overseas branches, after a lobbying barrage by the City of London Corporation, the British Bankers’ Association (BBA) and the Association of British Insurers. The reform will save the finance industry billions. • The neutering of a national not-for-profit pension scheme launching in October that was supposed to benefit millions of low paid and temporary workers. An extensive trawl of registries, consultations and hundreds of interviews has identified 129 organisations engaging in some form of lobbying for the finance sector, with over 800 people employed directly and at a cost of £92.8m. Lobbyists include in-house bank staff, public affairs consultancies, industry body representatives, law firms and management consultants. The findings sparked a renewed attack on banks from business secretary Vince Cable. Labour’s leader, Ed Miliband, weighed in yesterday by calling on the big five banks to sell 1,000 branches in order to encourage more competition. He said the banking industry had become ‘economically damaging and socially destructive’. The Bureau’s investigation found that the City of London Corporation – the Square Mile’s local authority – is the lobby outfit with the deepest pockets. Bureau estimates, which have been reviewed by academics, suggest that the City of London Corporation spends over £10m on public affairs advocacy and secures remarkable access to Treasury ministers. Secret City of London documents also show that the millions lavished on banquets in honour of politicians and state leaders are designed ‘to increase the emphasis on complementing hospitality with business meetings consistent with the City Corporation’s role in supporting the City as a financial centre’. Beyond the Corporation are at least 26 industry bodies lobbying government and regulators based in the UK with an advocacy war-chest of at least £34m. Some 124 Lords, equivalent to 16% of the House of Lords, have direct financial links with financial services firms. On Lords committees scrutinising last year’s Budget, peers who were paid by finance firms formed the majority. But Dame Angela Knight, the outgoing chief executive of the BBA, denied that her 200-strong bank trade body lobbied the government. ‘We represent a range of banks in a variety of different fora. Of course where we are successful is in “operationalising” the policies made by others,’ she said. A spokesman for the City of London Corporation disputed the figures and characterisation of its work as lobbying instead suggesting it ‘argues the case for London’. The spokesman that the City of London Corporation makes no apology for ‘promoting the competitiveness of (finance) as a whole so that this industry will thrive globally – and underpin jobs, prosperity and tax revenue’. Reblogged from New Economic Perspective First published 03.07.12 before the ‘resignation’ of Bob Diamond CEO Barclays Bank. Former US banking regulator, now lecturing at the University of Missouri, Kansas City, Professor Bill Black explains how Libor was manipulated, and the significance of that manipulation for the large banks and the global markets. He concludes that the laxity of regulation in the UK threatens the crown jewels of the City of London. In other words, the loss of trust in Libor.